Are you thinking about applying to FedEx? Maybe you recently sent in an application and you’re waiting to schedule an interview. This article will help you answer your FedEx interview questions more effectively by sharing some basic information you’ll need to know to make your interview a success. We’ll start with some general facts about FedEx, as it always helps to know as much as possible about a company before interviewing with them. Then, we’ll list the top FedEx interview questions and give you answer suggestions for each of them. 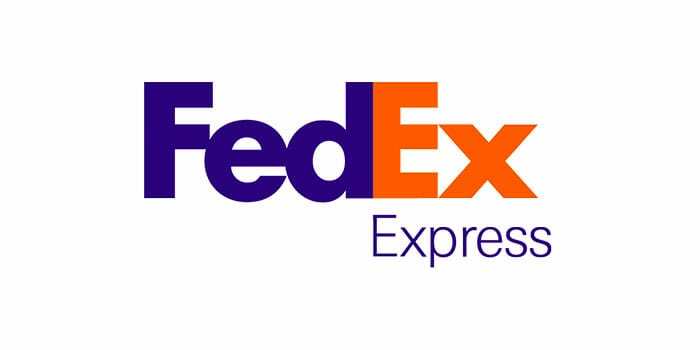 FedEx, the postal delivery service company, is headquartered out of Memphis, Tennessee. They were the first carrier service to implement a package tracking system available to their customers. FedEx employees that work full-time enjoy a benefits program that includes a 401k plan, insurance options, and vacation time. Through their program, FedEx cares, FedEx gives back to over 200 communities through volunteering and charity. These are some of the most common FedEx interview questions for the three most applied-to positions at the company. We’re listing questions for courier, package handler, and customer service representative. FedEx interview questions tend to be behavioral-based and situation-based questions. This means that their purpose is to gauge how you would react to specific situations in the workplace. The best way to thoroughly prepare for your interview is to practice answering all of these questions out loud. Answer as many FedEx interview questions as you have time for – preferably every day, for several days, before your interview. A1: “I used to sell appliances. A customer who didn’t purchase a warranty visited a month after his purchase, claiming that we needed to replace his dryer because the door had been broken. He was pretty angry after I explained that since he didn’t have a warranty, we couldn’t replace it. I gave him time to vent to me and then assured him that it would be quicker to have one of our maintenance crew repair his dryer door than for him to receive a replacement. A2: The key to answering this question is to avoid blaming a past coworker or manager for your decision to leave. When you blame someone else, your interviewer will assume that you don’t take responsibility for your actions. Therefore, you can become liable for further conflict within their team. This is something they want to avoid. Choose a more personal reason to explain why you left the company. Most FedEx interviewees describe their interviews as more casual interview experiences. However, showing up dressed in a nice shirt will make a good impression on your interviewer. Try wearing a button-down shirt with dark jeans or dark pants. During your FedEx interview, make sure to maintain positive body language, smile, and refrain from making negative comments about your previous jobs. Especially if you’re interviewing for the customer service representative or courier positions, try to communicate through your answers that you are a people person every time you get the chance. The interviewer will be looking for upbeat personalities to represent FedEx. A fresh collection of ALDI interview questions. Answer examples for the most popular Tableau interview questions. We hope this information has helped you prepare for your FedEx interview! Leave a comment if you have any questions about the FedEx interview process. Learn more about the employment opportunities that are currently available through the FedEx careers section on their website. Moreover, if you’re interested in reading about what it’s like to work for FedEx, browse through their FedEx Glassdoor profile and click on the job positions you’re interested in interviewing for. If you’ve already gone to a FedEx interview, leave your tips in the comments and be sure to include any FedEx interview questions that you found to be difficult.